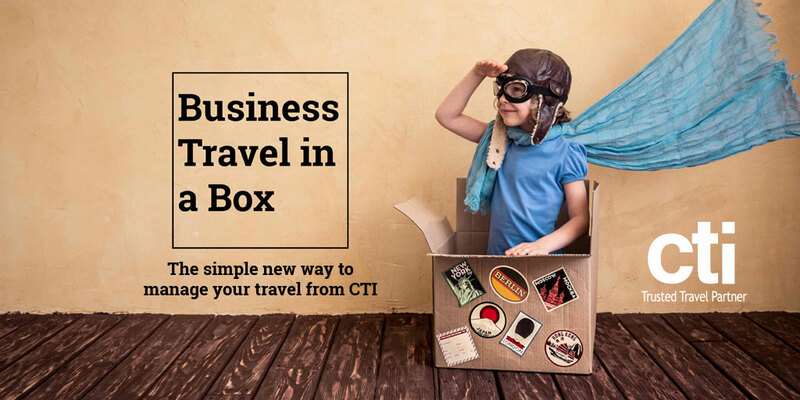 ASBCI member CTI, the leading regional business travel provider, has recently unveiled its new Business Travel in a Box bundled travel product, designed to offer SMEs a cost-effective and efficient way of procuring business travel. With SMEs representing 99% of all businesses in the EU[i], CTI’s bundled options provide a tiered range of business travel solutions designed to meet the varying needs of these companies. Designed for companies who spend between £50,000 and £150,000 a year on travel, the options range from a “Starter” to a “Prime” bundle, with a “Select” pack in between, each option provide a broad range of business travel options. The “Starter” bundle costs just £50 per month and provides 10 credits that cover the cost of eight different business travel services from air ticket fees with a best value guarantee to passport and visa advice to a free venue finding service. The “Select” bundle costs £250 per month for 50 credits and the “Prime” bundle £500 per month for 150 credits, and also include business travel services such as Priority Pass entry and a travel data dashboard for companies. Clive Wratten, CEO of CTI, says: ““Business Travel in a Box” is the new Netflix for corporate travel buyers, providing them with a huge choice of business travel products all for a fixed fee. Melanie Quinn, Commercial Director of CTI, adds: “With this new and innovative product, we are making the procurement of business travel simpler and more cost-effective for the many SMEs who consider using travel management companies but perceive the cost of doing so to be too high. Over the past 18 months, CTI has unveiled a series of partnerships with leading organisations including Airplus, AirRefund, Concur Travel, Maiden Voyage, Victor and most recently Caxton FX, all designed to enhance the travel experience and deliver tangible benefits to its customers.